Our focus is quality - which is why our work is fully guaranteed and we are recommended by all the major insurance companies. 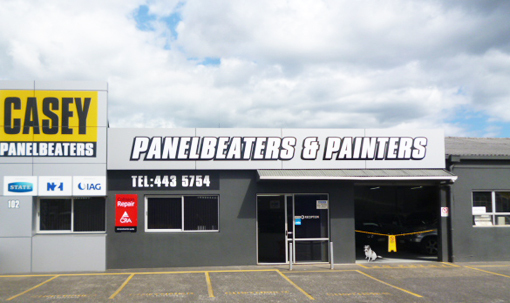 Good customer service is required, but at Casey Panelbeaters excellence is what is delivered. Our team is fully qualified, and our high standard of workmanship means your vehicle will look like it did before the accident - in fact you will never know what hit it! Had a mishap? Relax - we take the hassle out of dealing with a collision. Oops - backed into a fence? Shopping trolley scratched your paint? We can fix it! FREE courtesy vehicles - including cars, people movers and vans for you tradies!